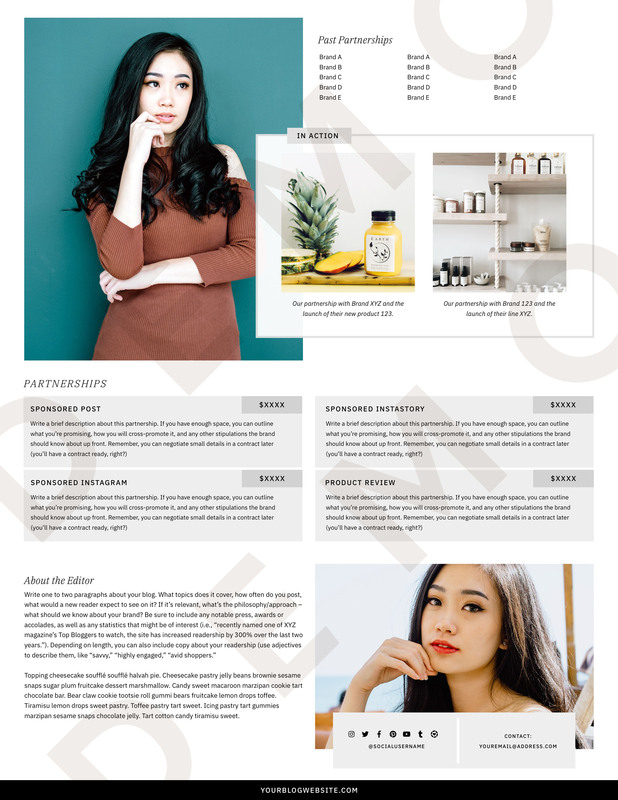 Three Photoshop template designs: Our media kit pack includes one 1-page template design, and two different 2-page designs. Click “View a Live Demo” above to see a preview of all pages, and the following links to view individual pages: 1, 2, 3, 4, 5. Edit text and images: Click to update your stats, edit featured partnerships, and use Smart Objects to easily swap out photos. <em>press Color Pack plugin users can even reference our handy hex code guide to make sure their kit colors are perfect. “No Rates” version included: Simply hide the Partnerships group within your Photoshop Layers panel, and enable our secondary features to create a “no rates” version of your kit with just a few clicks. 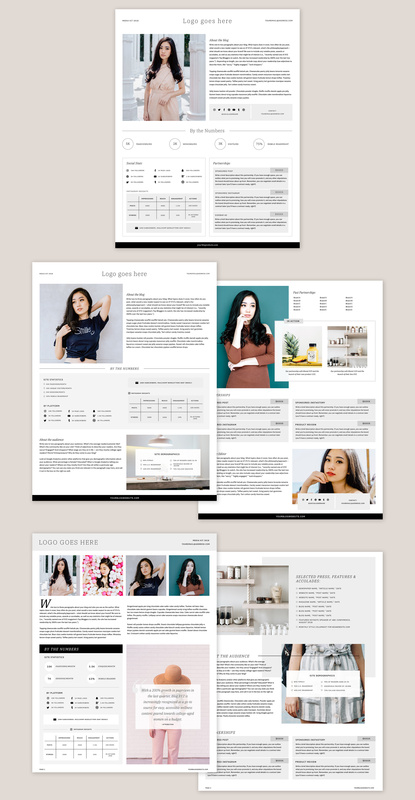 Optimized for <em>press: Our kits can be used by any blogger using any theme, custom or pre-made! 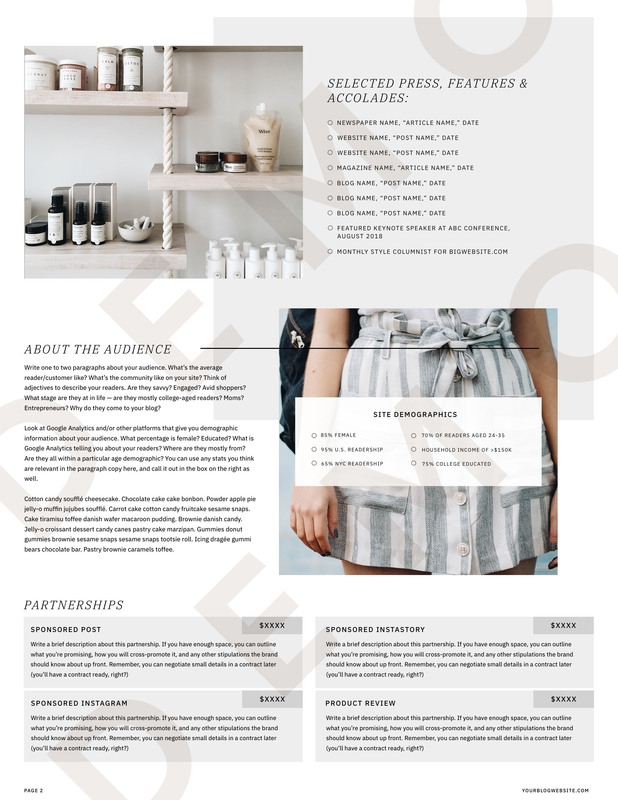 If you’ve purchased an <em>press theme, the kit pack includes theme-ready versions of each kit, with <em>press theme default fonts styled and ready to go. Just make sure your <em>press theme fonts are installed on your desktop, and you’ll be ready to edit in no time. Photoshop Ready: Templates rely on Adobe Photoshop for editing. Knowledge of Photoshop is required to use these templates. Please note we cannot provide Photoshop tutorials or support to assist you with editing. Our media kit template includes Photoshop files only. You will need to have Adobe Photoshop running on your computer in order to edit the template. Not compatible with Photoshop Elements. Knowledge of Photoshop required to edit this template. While limited directions are given in our product documentation, we do not offer Photoshop tutorials or support for our marketing collateral products. Full email support for issues related to corrupt .PSD files. Please note we cannot offer support for Photoshop related questions at this time. Purchase of our media kit templates includes support for questions related to issues downloading your files, or corrupt files. We unfortunately cannot offer assistance, training, tutorials, or support for any Photoshop related questions. For any other questions, email us at hello@empressthemes.com, and you’ll receive a response within 2-3 business days. Having trouble with your kit? Our Documentation PDFs are chock full of information to help get you started. We’ve also built an extensive Help Desk, filled with all our WordPress and blogging know-how. And yep, access to our Help Desk is completely free. 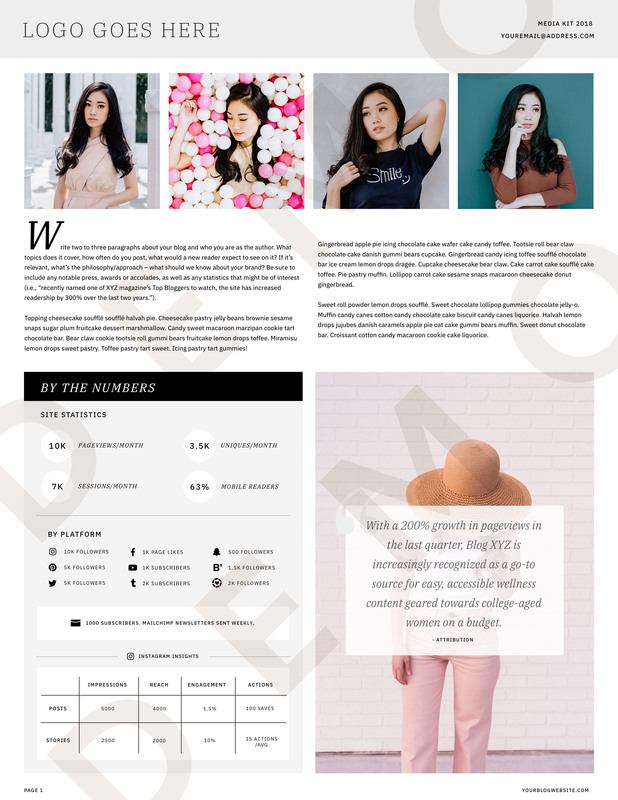 Looking for a new blog theme? Shop all themes and plugins here.